Since my marriage began six years ago I’ve had a number of friends lose theirs. Some by choice. Others were told that the marriage was over by their now former spouse. After the first three friends I stopped counting. It broke my heart and I didn’t like telling other friends a number. Instead I tried to tell the stories of marriages that ended so my still married friends would realize how fragile marriage is. When I think about the subject of marriage in America I think about these divorced friends and their now broken lives. I think about how little I did to support them when the D word was the only one being discussed between them and their former spouse. Where was I when they needed help? Why didn’t I ask the hard questions to get underneath the surface level? A few weeks back the U.S. Supreme Court heard arguments on marriage equality. I, along with many others, see this issue as an “only a matter of time” type of issue. Studies show Americans have made up their minds on this issue. Sure the issue will continue to be debated but soon the debate will transition from gay marriage, to why marriage is only defined as two people. Among Americans my age, over 80% are in favor of legalizing gay marriage. And the biggest reason for their views is because they know someone who is gay. This shouldn’t surprise you. This means most Millennials view the issue of gay marriage as a friend. They don’t see it as a threat to the foundation of our communities. They don’t see it as a threat to traditional values. And they don’t see it as a threat to the Christian faith. They see gay marriage as a person. It’s hard to throw Bible verses at someone who wants to support their friend. But I must confess I’ve followed very little news about it. And I doubt that I will follow it much in the future either. Why you ask? It’s hard for me to focus on a crisis of allowing more people to become legally married when existing marriages are already so fragile. All this news surrounding the push for marriage equality tempts you to take your eyes off the marriage crisis already happening. By now everyone knows that national divorce statistics are no different between Christian couples and those who are not Christians. Having a faith in Jesus won’t save your marriage. But the problem goes deeper than this. Marriage is no longer viewed as the foundation for our culture. 44% of 18- to 29-year-old Americans believe marriage is becoming obsolete. Only half of U.S. adults are currently married (link to this study). So the people who are married are generally not enjoying it enough to stay married. And the people who aren’t married are generally enjoying the single life that they’d prefer to keep it that way. I think what Sider gets at is important for you and I as we consider taking steps forward in our culture. 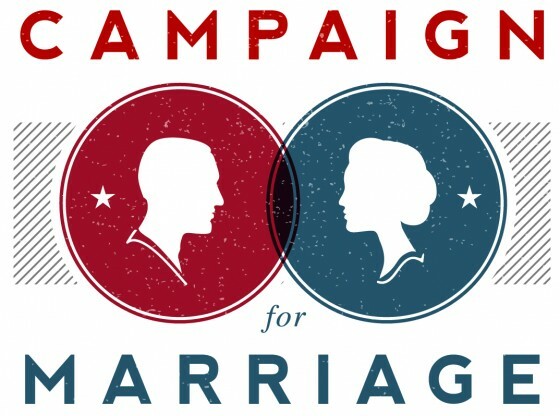 Instead of fighting for or against the latest political issue surrounding marriage, why not fight for the marriages all around? Instead of posting your opinions and convincing no one, why not reach out to couples in various life stages and find out how you can support them? The well-known phrase of “people will never care how much you know until they know how much you care” is never more poignant than when it comes to this subject. Care about someone before you go on waxing eloquently about your opinions. Make a difference instead of making a point. This idea of caring about people has led to a major reversal in how most Americans view gay marriage, and it is caring about people that can change the landscape of marriages already in existence. When you think of marriage equality consider reaching out to some couples around you. When you think of marriage think of people you can impact instead of just changing your online profile picture. You could be the support system they’re too afraid to ask for.